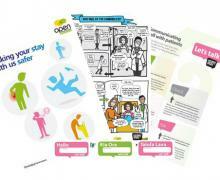 Information about the Health Quality & Safety Commission's annual Patient Safety Week. Developing clinical leadership for quality and safety. Preventing falls and reducing harm from falls. Reducing harm from high-risk medicines. Preventing harm caused by surgery. Preventing harm from healthcare associated infections. Thanks to everyone who helped to make Patient Safety Week such a big success. The Health Quality & Safety Commission, in partnership with ACC, promoted the week. Sparking up a conversation about end-of-life care is hard to do. This article originally appeared in the Gisborne Herald. New Plymouth Injury Safe is once again supporting good communication between patients, whānau and Taranaki District Health Board (DHB) staff – the focus of this year’s Patient Safety Week, a national campaign which runs from 30 October to 5 November. Patient Safety Week starts today and coincides with the release of a new report showing patient harm reduction and cost savings have been achieved through improved health services. Good communication between patients, whānau and Taranaki DHB staff is the focus of this year’s Patient Safety Week, a national campaign which runs from 30 October to 5 November. 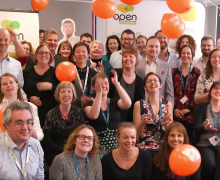 In July 2016 the Open for better care campaign drew to a close. Patient Safety Week 2016 will run from Sunday 30 October to Saturday 5 November 2016. The Commission has worked with a sector group, including quality and risk managers, consumers and representatives from primary care to develop the approach for the week. Earlier this week the Royal New Zealand Navy (specifically, the HMNZS Endeavour) posted a picture on their Facebook page in support of Taranaki DHB's Patient Safety Week. MidCentral District Health Board was a hive of activity during Patient Safety Week, organising a different activity each day. Hawera Hospital are using 'speech bubble boards' to gather consumer's views about what's important to them in their health care during Patient Safety Week. Patient Safety Week activities are in full swing at Counties Manukau DHB, with information booths, promotions and posters around Middlemore Hospital. Patient Safety Week is in full swing at Taranaki DHB and the efforts of our staff have been noted at a national level on channel one's Seven Sharp. I had the pleasure this afternoon of attending a session on the Southland Surgical Ward run by Linda Beebe. During Patient Safety Week, the medical and paediatric wards of Whakatane Hospital (Bay of Plenty DHB) are trialing this adaptation of the 'Hello my name is' stickers. MidCentral District Health Board are marking Patient Safety Week with a strong social media presence. Campaigns for hospital staff and public often focus on physical things like hand hygiene, falls prevention, avoiding pressure sores, but this year the focus is on the importance of communication. Day two of Patient Safety Week saw Capital & Coast DHB focusing on health literacy at their booth in the entrance of Wellington Hospital. 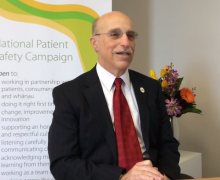 Hawke's Bay District Health Board (DHB) has been focusing on consumer input for Patient Safety Week 2015. Auckland DHB fills atrium with Patient Safety Week! Auckland District Health Board are getting right into Patient Safety Week 2015 activities with a stand set up in the atrium of Auckland Hospital. Pictured are Capital & Coast DHB nursing staff embracing the Patient Safety Week activity 'Hello, my name is'. Nice to meet you ladies! South Canterbury DHB's tell me tree! 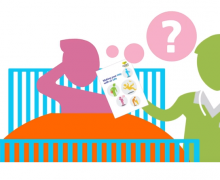 Whanganui District Health Board (DHB) have adapted the Health Quality & Safety Commission's 'Let's PLAN for better care' resources as an advertisement for Patient Safety Week 2015. This week Southern DHB is joining with the Health Quality & Safety Commission and other DHBs to celebrate Patient Safety Week.